You know how in high school you have your jocks and your thespians and your debaters and your newspaper editors? And you have your nerds and the goths and the cheerleaders and the homecoming kings? Back in high school, and even now for that matter, the people in these groups never really blurred the social hierarchy, but there is one short week these people unite together in exploration of all things miraculous. I think you know where I'm going with this one...(cue Jaws theme)...SHARK WEEK! But no, no, Christmas hasn't come early and it's not Shark Week, because that was so last year. It is, however, Expedition Week on National Geographic, and that's basically cooler because shark week is the same every year. 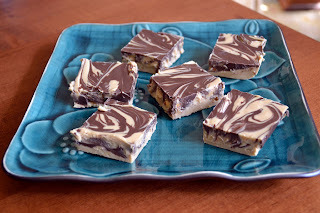 And in honor of these cute little kitties, I have made Tiger Fudge, which is maybe the easiest recipe I've ever made. It's almost not blogworthy, but then you taste it and it all makes sense. Grab your kiddies or boyfriends and make this in about 10 minutes. No joke, and then sit down and watch mother nature do her thang. 1. Combine white chocolate and peanut butter in top of a double boiler; bring water to a boil. Reduce heat to low, and cook until chocolate and peanut butter melt, stirring constantly. 2. Spread half peanut butter chocolate mixture onto two wax-lined 8x8 pans. Pour semisweet chocolate over peanut butter mixture and then add the remaining peanut butter mixture. Swirl through with a knife and chill until firm. 3. Cut into 1 1/2- x 1-inch pieces and store in refrigerator. I LOVE how easy this is! It looks like it would take way more time to make. haha,nice, love the inspiration...and yum! Smile. I laughed out loud when I read your post (and we all know I need some laughter right now!) Thank you for sharing yourself and your creative treats with me week after week. This is a place where I come to feel love and inspiration. You are a blessing. Have a wonderful Friday! 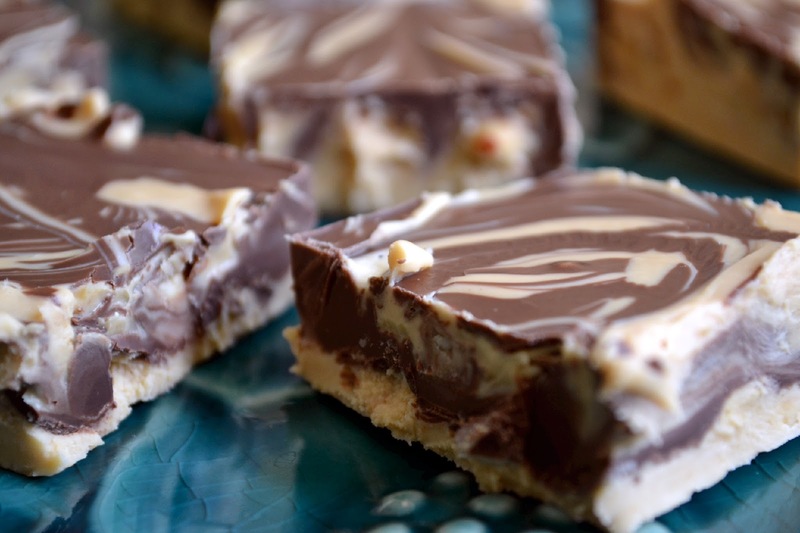 I need to make this because Dudette's Tae Kwon Do class is the Little Tigers and it would be a perfect treat. Thanks for sharing it! 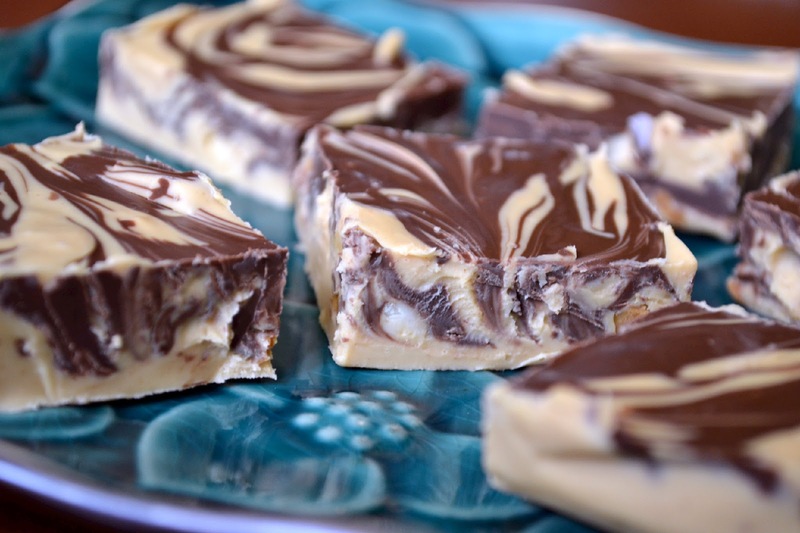 Oh I love easy fudge recipes like this! I always wondered how these were made. Thanks for letting me know.